Offering Rochester, NY a limo or party bus service experience to remember! YOUR #1 LIMO AND party BUS PROVIDER IN ROCHESTER, NY! Looking for a reliable limo for your big day? Pulse offers more than just the ride to the church. Whether it is in Rochester or Buffalo, NY we are your trusted Limo Service. Need a ride to a concert? Pulse will get you there and back safely and on time. Whether it is in Rochester or Buffalo, NY we are your trusted Limo Service. Wine tasting with friends? Let Pulse take you to some of NY's greatest wineries safely and in style! Whether it is in Rochester or Buffalo, NY we are your trusted Limo Service. Whether you’re looking to cruise Chippewa Buffalo, hop night clubs in Rochester, NY's East End, get to your favorite sporting event, or stroll through the Finger Lakes Wine Region, Pulse Limousines has you covered. We provide luxury transportation with affordability. We understand the importance of your image and safety. We can assure you that your experience with us will exceed your expectations. Providing personal cars, limos, party buses in Rochester, NY and more! 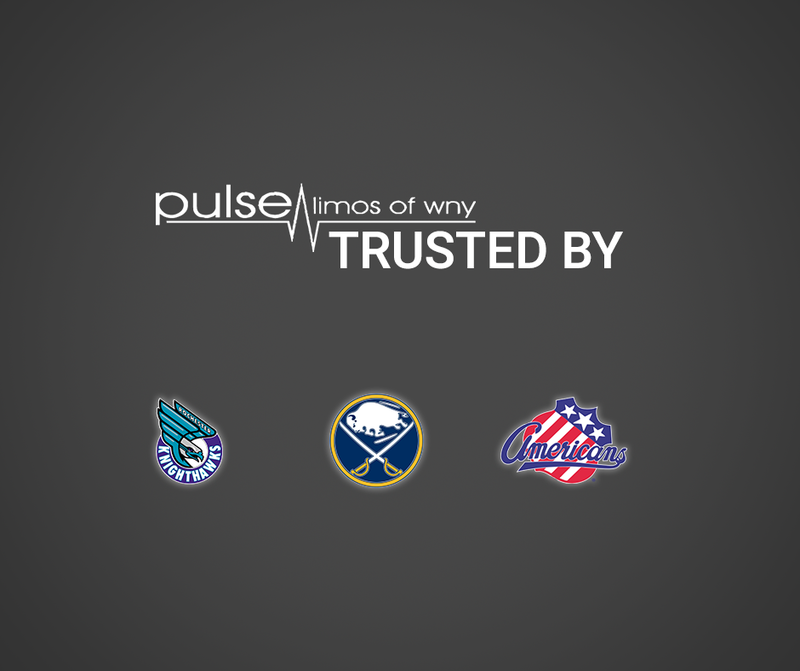 We love Western New York and want you to love your VIP experience with Pulse Limos.